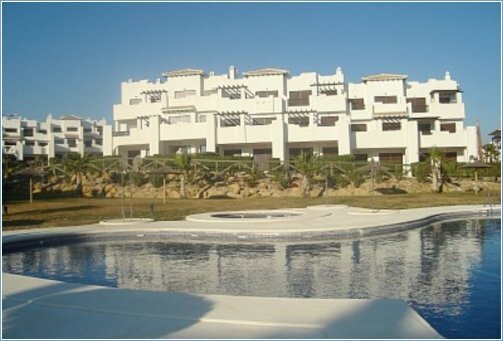 Ideallly located and furnished to the highest standard, this family owned ground floor apartment with terrace and large private enclosed garden is set on a fantastic new development Al Andalus. 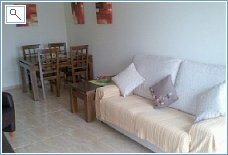 The apartment has a master bedroom with double bed and en suite bathroom, also a twin bedroom with Z-bed for fifth person. There is also a family bathroom with shower. 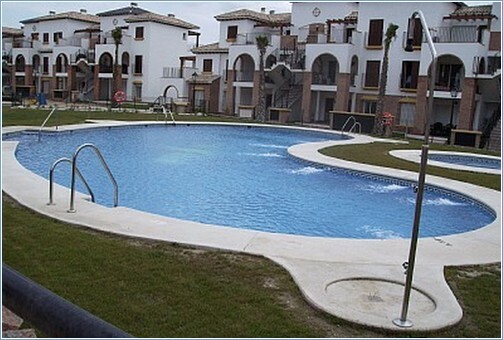 On the complex there are 2 large outdoor swimming pools (open 1st June -30 september), tennis courts and children’s playground. 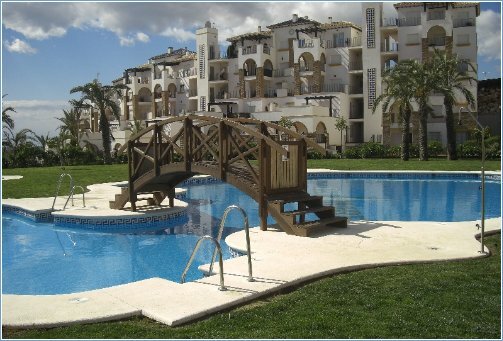 All set in beautiful landscaped gardens with palm trees, walkways and water features throughout. 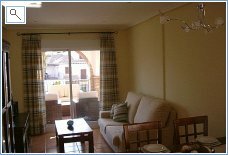 The apartment is in a quiet setting but is only minutes from top class restaurants pups shops and a water park and of course miles of wonderful beaches. 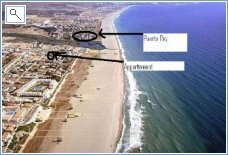 Vera Playa is our nearest village, but we are only ten minutes from the fishing village of Garrucha and the quaint Moorish white washed village of Mojacar which is perched atop a mountain. Luxury Villa with 5 bedrooms, 4 bathrooms, 2 lounges, full air conditioning to 4 bedrooms and lounges. Secure gated access. Seconds from the sandy beach private gate access, with beach bars, lovely pool area with adult and childrens pool, grassed area for sunbathing and showers. Private drive for parking. Vera Town is a very pretty market town. 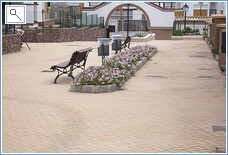 Garrucha is a fishing village as is Villaricos which are just 5 minutes away and offer a wonderful variety of restaurants and entertainment. 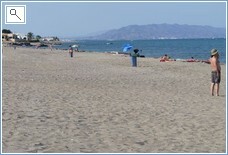 Mojacar is 10 mins away, miles of sandy beaches, restaurants, bars, nightclubs etc. 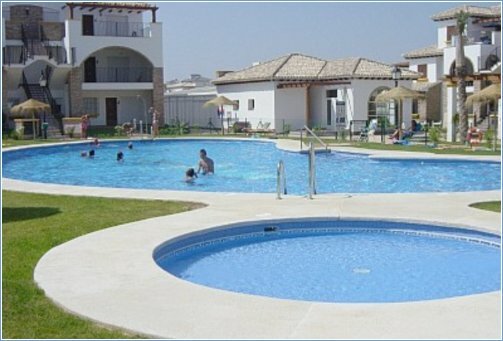 This apartment is located on the Al Andalus Resort in Vera Playa. On the resort there is an outdoor pool and a heated indoor pool for the winter and an outdoor children’s pool, there is also a children’s play area. 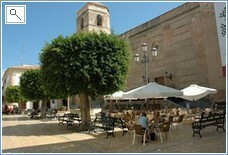 The apartment is ground floor and features a patio area with a table and chairs. 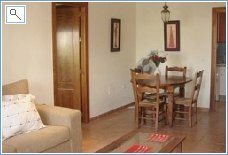 A lovely apartment, ideal for couples and families, in Vera Coast resort. 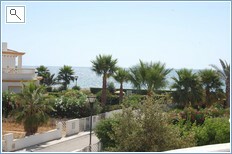 In an excellent location away from traffic yet only metres from 5km long , with fine white sand with crystal clear waters and in the background likes the beautiful mountains, cafes, supermarkets and shops. 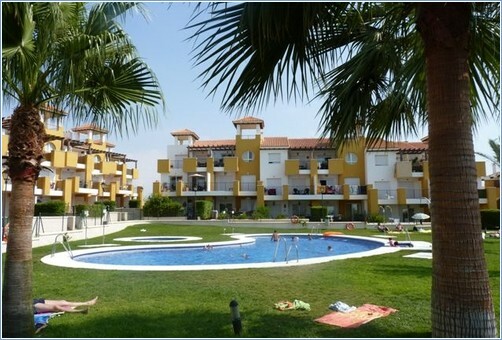 Newly developed apartment situated in extensive landscaped gardens with flowing streams and waterfalls. One of the two patios is South facing with private garden and hedging, ideal for alfresco eating and overlooks the adult/ child pools. Accommodation consisting of a large sitting / dining room with patio doors leading to the veranda. 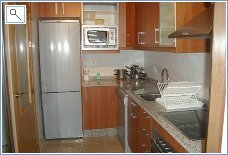 A fully equipped kitchen with separate utility area. Master double bedroom with large wardrobe and en-suite bathroom, complete with patio doors opening out onto a covered veranda. Twin bedroom with large wardrobe and a family bathroom with over-bath shower and bidet, the well equipped kitchen has a larder style fridge / freezer, microwave oven, electric hob/ oven and dishwasher. 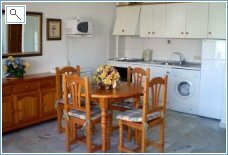 Utility room with washing machine/ironing board and plenty of storage for suitcases or golfing equipment. TV with DVD/CD player, Spanish satellite with Sky/BBC/CNN news channels. Selection of DVDs, books, jigsaws, games. Tennis equipment provided for the on site tennis courts. Al Andalus Thalassa is a stunning development. 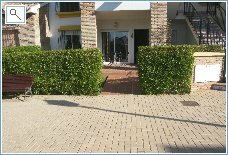 It is gated with CCTV, tree-lined walkways and water features. There are 2 large pools and a children's pool in the gardens. In the spa there is a heated indoor pool, jacuzzi, sauna, steam room and gym. 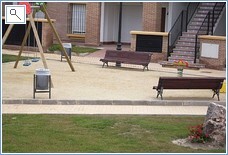 There are tennis courts and a children's play area too. 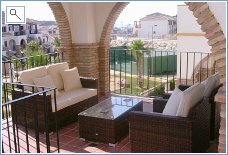 This first floor apartment is newly built to a very high standard with aircon/heating 3 large terraces for alfresco dining and sunbathing. 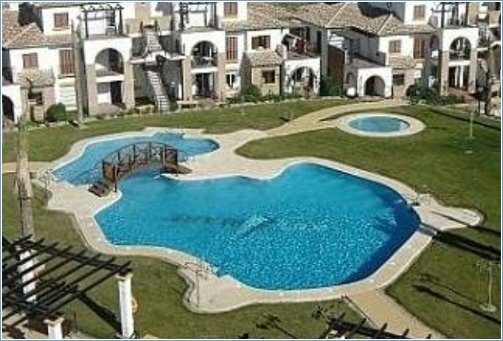 The Al Andalus Residential complex gives a truly stunning Andalucian style, with beautiful walkways and fountains a feature. 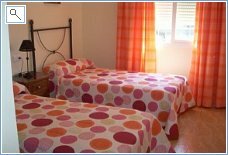 The apartment is tastefully furnished and has a Double bedroom with en-suite bathroom having shower and bath and a twin bedroom with single beds and an additional bathroom having a shower and bath. 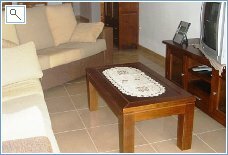 The apartment is very well furnished and fitted with first class equipment, including Air-Con, Sky TV( BBC & ITV ), DVD, Radio/ CD Player, washing machine, fridge freezer, oven and microwave.